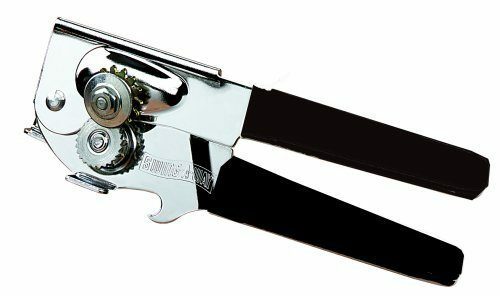 Swing-A-Way Portable Can Opener Only $5.99! You are here: Home / Great Deals / Amazon Deals / Swing-A-Way Portable Can Opener Only $5.99! I have yet to find a can opener, manual or electric, that works as well or consistently as this one! The Swing-A-Way Portable Can Opener is Only $5.99! I think these should be standard issue to anyone starting a household! They are solid, they work like a charm, the handle is good for most anyone to use, and it even includes a bottle opener! Even if you have an electric opener, you should get one of these as a backup!